MI-MABAS is a Mutual Aid Box Alarm System designed to efficiently provide emergency and fire service resources for day to day mutual aid and large-scale events throughout the State of Michigan. MI-MABAS is governed by the fire service representing 22 Divisions with over 450 fire departments that consists of 4000+ firefighters located in seven MSP Emergency Management Districts. Michigan’s only Urban Search and Rescue Task Force trained to FEMA’s multi-disciplinary standards designed to support communities when incidents overwhelm their local and county resources. MI-MABAS is credentialing and organizing fire service resources using NIMS Tier I Typing criteria for HazMat Entry Teams and Tier II Typing criteria for Collapse Search and Rescue Teams. MI-MABAS uses one standardized Box Alarm Card template designed to make dispatching additional resources easier for telecommunicators and emergency service personnel. MI-MABAS is a user-driven system governed by each division. Organizing departments in a current mutual aid group is the logical starting point for a creating a division. Join our team and help is on the way. 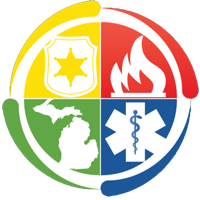 The mission of Michigan MABAS is to coordinate the effective and efficient intrastate and interstate mobilization and deployment of fire, emergency medical services, and special operations mutual aid resources, during natural and man-made emergencies and disasters.